Conquest of the Pole is bonkers, like most things Georges Méliès filmed in his near-20-year career. It may also be his most complex work. But it has a tragic tone, at least if you know its place in the master's canon. 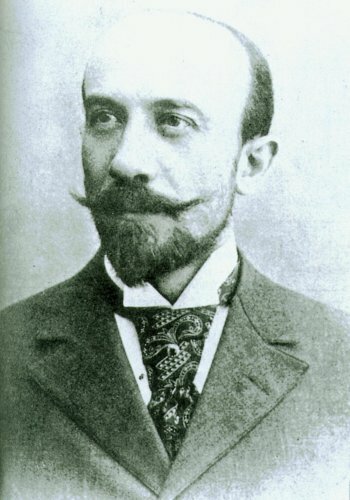 Only a year after it debuted, Méliès was finished. Bankrupted. The victim of pirates less fantastical than his films would have made them. Conquest of the Pole was one of his last major achievements. Consider it, then, to be a glimpse into a possible future: one in which a genius—whose unique skills brought him from the dawn of his artform to the brink of its next evolutionary step; from the Nickelodeon era to the beginnings of D.W. Griffith and Charlie Chaplin—might have either progressed, or dissipated. Could this man of the theatre, this magician, have embraced a medium that had grown up? Conquest offers clues. In many ways, it’s classic Méliès. It’s a fantasy film, about an unlikely quest undertaken by a gaggle of undignified scientists, traveling in an absurd machine. 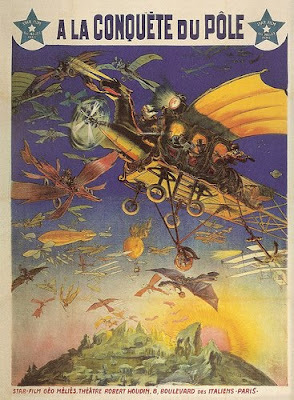 This is the plot (such as it is) of the director’s most famous films, A Trip to the Moon (1902) and The Impossible Voyage (1904). Conquest depicts a relatively modest trip to the North Pole in a strange, hawk-headed monoplane. But at 30 minutes—three times the length of A Trip to the Moon—it’s ambitious in a different way. Despite his static camerawork and interchangeable characters, you simply cannot be bored by Méliès’ best work, because you can never predict how the course of events, familiar as they are, will flower visually. In Conquest, as in earlier adventure films, we begin with a meeting of scientists in a great academy, debating the merits of the voyage and the means of executing it. We see the bizarre craft being built in an air hangar, then the voyage itself, and the concluding action, once the craft has reached its destination. Repetitive, perhaps, but in almost every case a magnificent melding of painted backdrops, complex props, and in-camera special effects. Not all the ground is well-trod, either. Conquest is, for example, the only Méliès film I’ve seen with a subplot: in this case involving a group of suffragettes (played, without sympathy, by burly women) who demand to join the trip. Méliès also tinkers with his dramatic structure, allowing his lead aeronaut, Professor Crazyloft, to treat his guests to a demonstration of how the craft will fly, using a scale model. (In keeping with Méliès’ dubious commitment to physics, this demo justifies nothing we’ll see later on, but it does make certain scenes more logical.) He also films one of Conquest’s automobile sequences outdoors--rare for this director--though the car is repainted to match Méliès’ cartoon hyper-reality. There’s even a brief closeup, late in the film. Sure, the wondrousness wears thin at times. 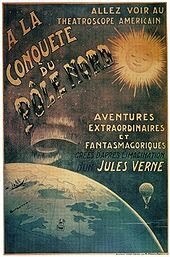 The flight to the Pole is several minutes too long, beautiful though it is: Méliès trains our attention so long on his little model plane that we're shocked when the thing finally crash-lands in the Arctic. However, a quick cut to the full-sized airplane, tail snapping upon impact, shows us just how adept at editing Méliès had become by the end. There is unity where it is needed. We see it again about a minute after the crash, when the scientists face a Snow Giant rising from a frozen pit. His arms flail, his pipe (yes) belches smoke, and he devours one of the men. 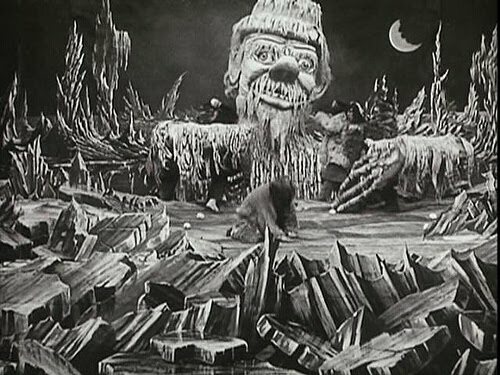 As a set-piece, the Giant is so well built, and the actors' reactions so smooth, that it’s easy to forget the fakery of it all. Would Méliès the theatre-man have worried about that? All great stage productions presume their audience has such intelligence. One might even call it taste. Realism is not an end unto itself. I love Georges Méliès’ films. I consider them high art. Not so much a height of cinematic art itself, but of the curious hybrid of stage and screen that existed between the 1890s and the early 1910s. While no one can accuse Méliès of creating memorable characters, his movies are themselves memorable, retaining their capacity to awe even into our era, when spectacle often means moving the camera as fast as you can over blurred (and now, three-dimensional) images. Méliès’ movies have manic pacing too; they teem with creative energy, always, everywhere before your eyes, all of it made manifest by his own hand. But his moments are long, and his gift to you is the chance to apprehend them. You watch, you pause, you absorb, and yet, still, they have more to give. Conquest of the Pole can be found on disc five of Flicker Alley’s magnificent five-disc set, George Méliès: First Wizard of Cinema (1896 – 1913).